Sea Vision pioneered the underwater lighting craze and changed the way people illuminate their boats around the world. With industry-leading expertise ranging from superyachts to tenders, our knowledgeable staff can provide marine lighting solutions from the most basic to the most complex new build installations, retrofit or refit projects. All of our underwater lights are designed and manufactured here in the USA at our Fort Lauderdale facility and main office. Sales are available by calling or visiting our US office, the European office in France or from any of our worldwide Sea Vision distributors. For your convenience, some of our underwater lights are available for purchase directly from this website. In addition, you can browse through a sampling of our most popular interior, exterior and deck lights here in our online catalog. 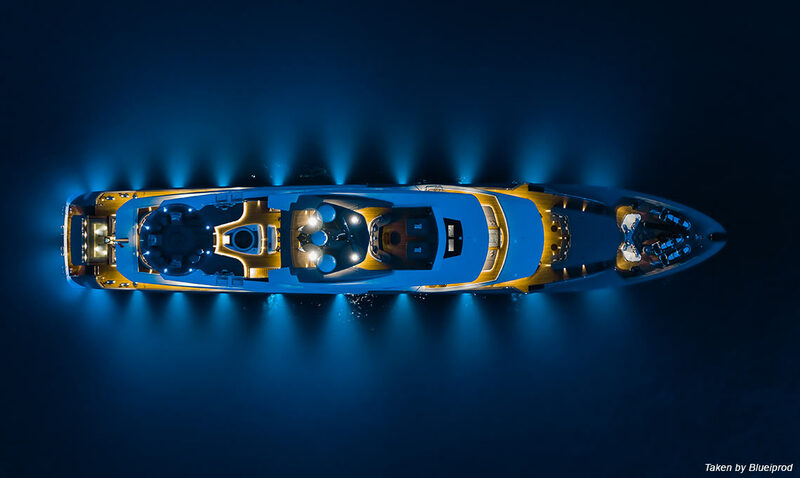 Sea Vision imports a wide variety of deck, engine room and interior lights from the renowned Italian lighting manufacturers Foresti and Suardi, and Palagi. This ensures that you have a wide selection of unique lighting products at competitive rates to chose from. Our agreement with F&S allows us to also sell their complete range of marine hardware including washbasins, faucets, door hardware and a wide variety of items suitable for all sizes of boats. Sea Vision remains dedicated to expanding our offering of marine lighting products and comprehensive services to all of our worldwide clients. Let’s discuss your specific needs so that we can provide a perfect match for your vessel. Call, email, or chat with us to get started. Career opportunities available. Click here to learn more.